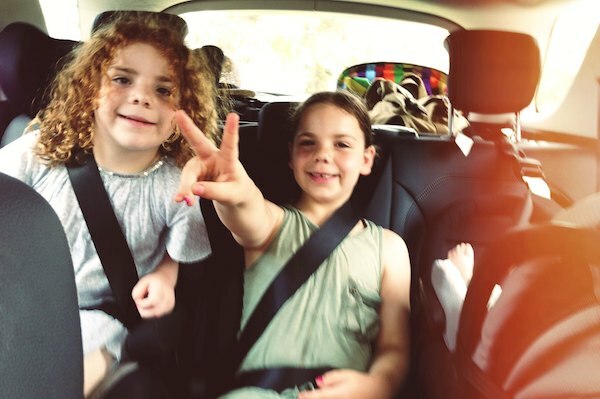 Having just added another member to our family, we’re feeling a bit cosier in our car than we’re used to. 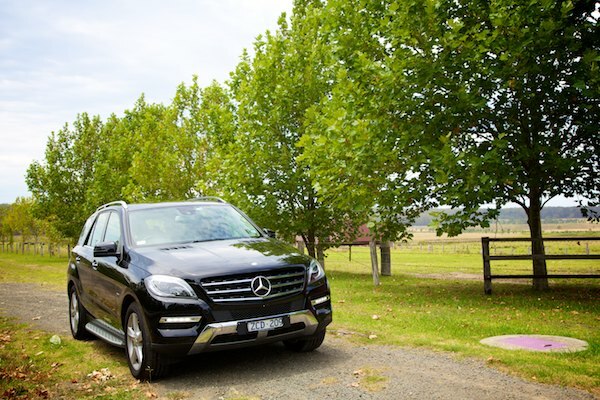 So we were thrilled when Mercedes-Benz asked us if we’d be interested in borrowing a brand-new ML 250 BlueTEC for a couple of weeks to try out. The M Class is a midsize SUV range from Mercedes-Benz. Originally launched in 1997 (and first seen in Jurassic Park! ), it is now into its third generation. More fuel-efficient than its predecessor, the car claims fuel consumption figures of 6.4 l/100km, which was pretty close to what we got in the time we had it, driving around Sydney and down to the South Coast and back. Interior space in the ML 250 BlueTEC is generous, with plenty of room in the back for a capsule, booster and another child in between. 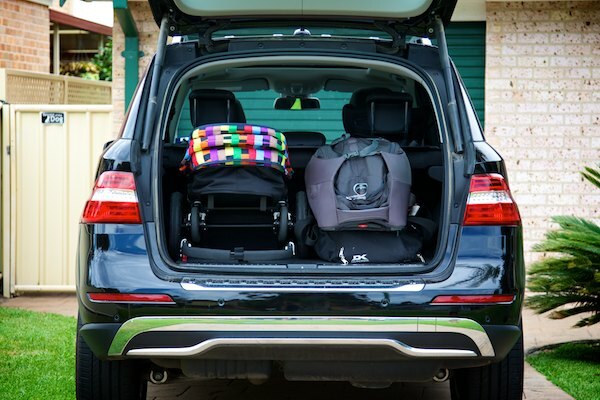 It also boasts 680L of luggage capacity in the rear with the seats in use – plenty for our family of five to go for a weekend away with luggage and a pram. 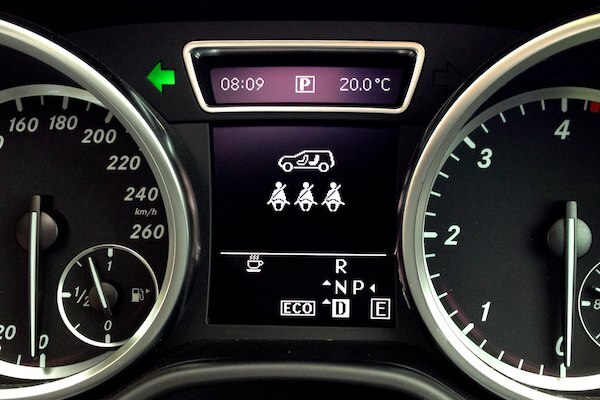 The car comes fitted with a range of safety features including nine airbags, accident avoidance system, assisted parking, reversing camera, a tyre pressure warning and a visual rear seatbelt display that came in very handy keeping track of who was belted up in the back. The MLP for the Mercedes-Benz ML 250 BlueTEC is $80,010. The rest of the range consists of the ML350 BlueEfficiency (Petrol V6), the ML350 BlueTEC (Diesel) and two twin-turbocharged V8 models, the ML500 or AMG-tuned ML63 ($177,900).